TRON (TRX) has shown a whopping 53% surge in price over the last week, making its way to the top 10 biggest cryptocurrencies in terms of market cap. 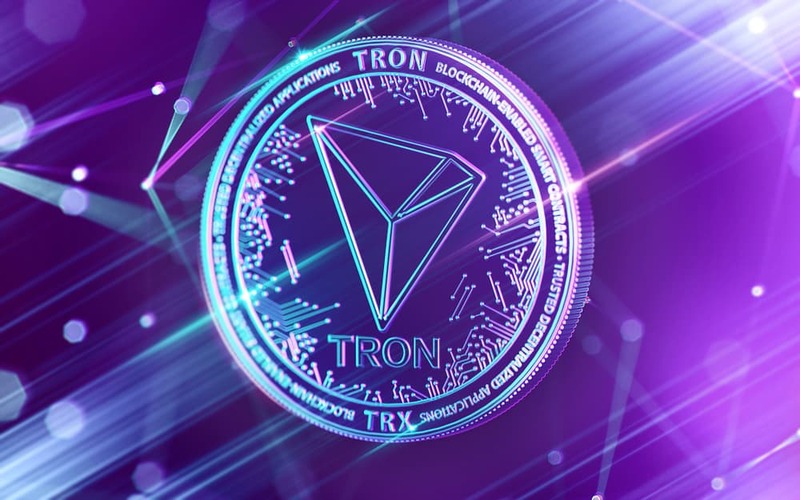 TRON (TRX) established itself as the 9th largest digital asset with a market cap over $5.8 billion. As of press time, China’s hyped token seems to be correcting down to $0.088, according to Coinmarketcap, after smashing through the 10-cents milestone less than 24 hours earlier. 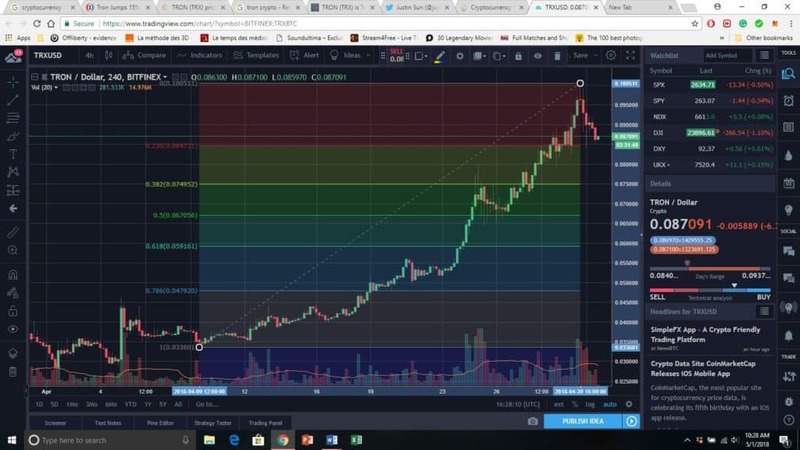 Several factors contributed to the recent surge with several signs indicating that the rally has just begun. TRON’s market valuation severely dipped during the spectacular market crash that affected most cryptocurrencies, starting the second week of January. It went from almost $17 Billion to only $1.5 Billion. In fact, TRX went on a downtrend for over three months. After a short-lived market recovery that took place during the second half of March, a massive selloff went on for a few of days, pushing the whole market towards plummeting once again. However, April came with signs of long-term recovery, and a renewed global enthusiasm surrounding the cryptosphere. As of April 1st, TRX was only valued at $0.032. The lingering FUD around the project was still driving its price evolution downwards, and traders seemed not to be considering it as an attractive investment, despite a very promising roadmap set to take place during this Q2 of 2018. Starting April 4th, a series of events, announcements and exchange listings benefited the asset. This contributed to a sustained uptrend that went on to shortly drive its prices beyond the resistance level around the 10 cent mark. Justin Sun, CEO of TRON, tweeted an eagerly awaited listing on April 4th on the Korean Bithumb exchange. The following day, yet another Korean exchange, Upbit, announced a new trading pair for TRX with the local currency KRW. It is worth mentioning that as of press time, over 46% of the last 24-hour volume, came from both exchanges alone. The same twitter account reads that according to the most recent results, TRON was trending up on Github, as the top digital asset during the last week, with the greatest number of commits. In addition to that, TRON was the most talked-about coin on Twitter as well on April 26th. One of the most important announcements regarding the Main Net public Blockchain of Tron Network to be released by May 31st, was also being heavily referenced in digital media and throughout Twitter and Reddit posts. Major exchanges like Bittrex, Bitfinex, and Bithumb announced their support for the migration from the actual ERC20 token, to a cryptocurrency. The last week of April came with even more listings with Zebpay, India’s leading cryptocurrency platform, and the Malaysian Coinbene listing TRX/USDT trading pairs. Besides, Bittrex listed a new TRX/USDT trading pair from in the span of the same week. By April 25, Sun’s official Weibo page exceeded 900k followers, emphasizing on the ever-growing interest and excitement surrounding the project and its founder. On the other hand, the “Super Representative” election – an initiative to make TRON jointly governed by The TRON foundation and the increasingly growing Community, has boosted more the asset’s value, prompting more people to join the community. The Candlestick price Chart of TRX in USD over the last week is showing bullish signs with a correction taking place as of press time around the 23.6% Fibonacci level. This low extent of pullback emphasizes the bullish setting that is likely to drive the prices further up during the next weeks, especially around the days preceding the Main Net migration.